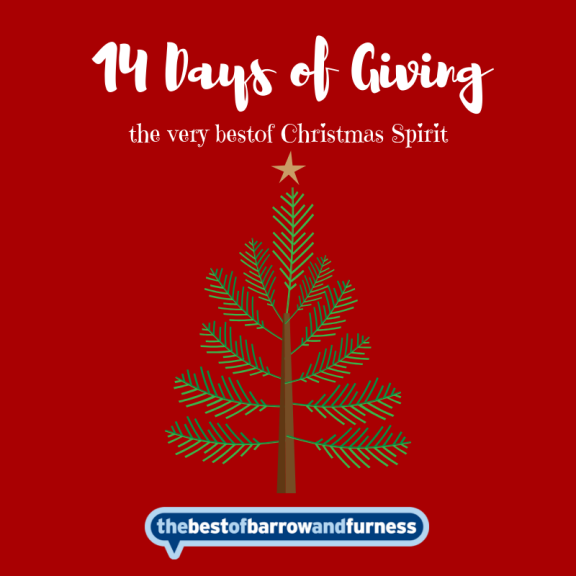 Christmas is all about giving, and here at Thebestof we’ve decided to give a bit back this Christmas with our 14xDays of Giving. There are families in Furness who won’t be adding the treats to their shopping baskets as they simply can’t afford them. All those little things we take for granted, such as nice biscuits, chocolates, crackers and of course treats for the children. So we decided that on the 1st of December right through until the 14th, we would add an item to a gift bag which will make a difference to a family at Christmas. Now we can make a difference to one family, but with your help we can make a difference to lots of families. We are looking for individuals and businesses to join us and make a difference with 14 Days of Giving. We will work with local charities, so they can identify families whose Christmas would be so much better with all our help. We arrange to collect all the bags within a couple fo days after the 14th, so the charities can deliver them in time for Christmas. How many families we make a difference too is a down to how many of you join us – so please get in touch if you would like a bag and we will add a special thank you to you on our events page. Let’s make this Thebestof Christmases.